Industry: Not-for-Profit, Travel & Lifestyle. DUCC is an association of practitioners of diaconal ministry in the United Church of Canada. Serving. Teaching. Learning. Caring. 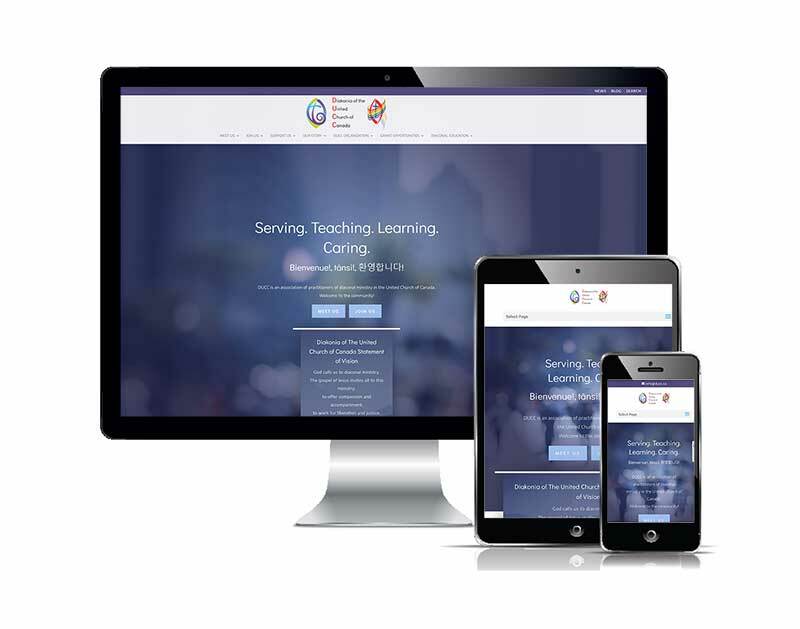 Working closely with Deborah Laforet of the St’ Paul’s United Church in Oakville, representing the DUCC association, Al Poullis of COMMbits created a brand new web presence for the DUCC. The project was challenging in all aspects, as the previous website was outdated and with a confusing navigational system. In addition, the old web presence contained hundreds of data snippets spread-across in an unstructured fashion throughout the website. The new site includes a brand new navigational system and a methodology that allows the DUCC Organization not only easy access to information, but – perhaps most importantly – a streamlined methodology of how to update and add new information. As with all new COMMbits web design projects, the DUCC new website addresses responsive issues effectively for all pages, and makes the site accessible and displayed beautifully in a number of devices including desktops, tablets and smartphones. The new site is powered by the legendary COMMbits business web hosting platform, blending security, website disaster recovery and top-notch website performance in an unparalleled fashion.